Merry Christmas! After the success of “Crazy Shave!” we decided to make a special christmas gift in “Shave Santa”. Once we released the game, it soared right to the top of the iTunes App Store charts and is now #1! 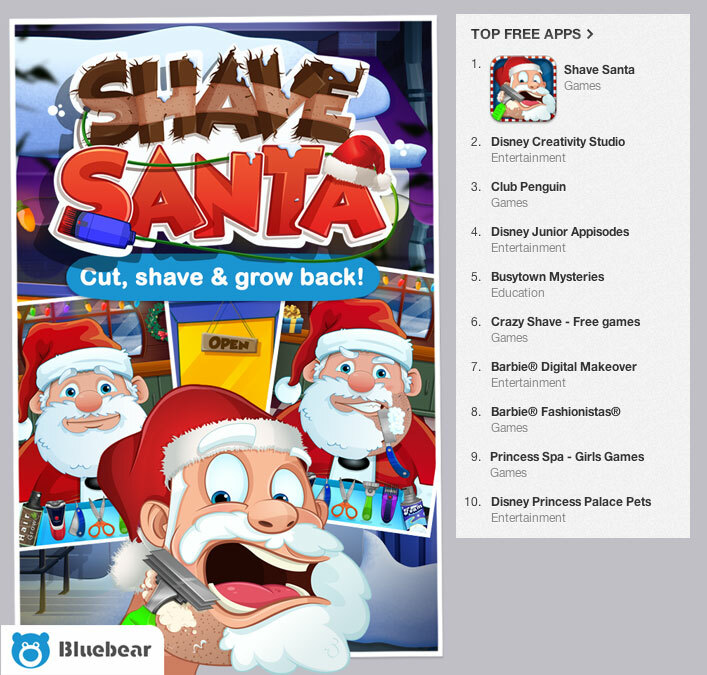 This awesome new app lets you shave Santa and all his friends! Use all the different shaving tools and see how Santa reacts! Be warned! Santa isn’t always so jolly, especially when being shaved!